Take a piece of nature with you whenever you wear this wonderful cuff. 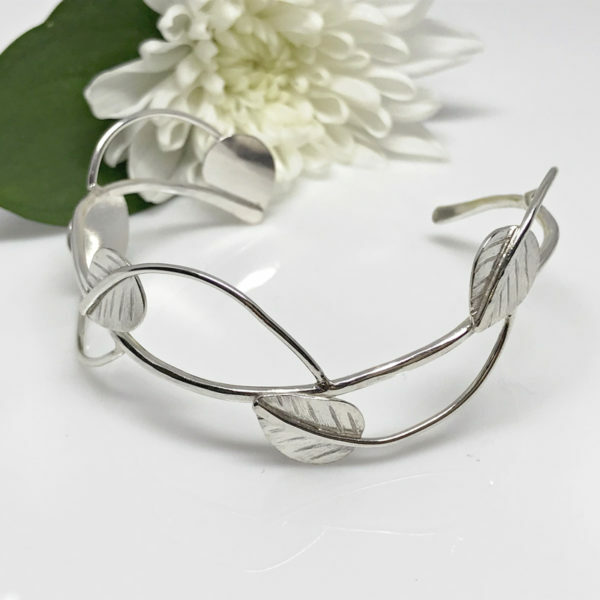 Silver leaf cuff bracelet. 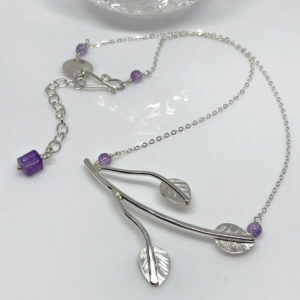 Elegant silver branch gently curves around the wrist. 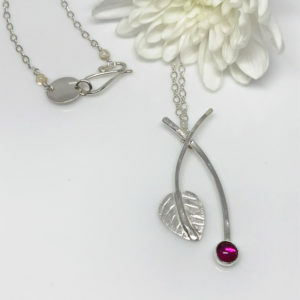 Hand forged Argentium silver leaves arch along the branch. The leaves have been hand etched to resemble the veins running through leaves. A subtle brushed effect has been added for softness and to depict the natural texture. 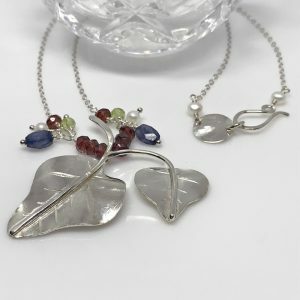 The beauty of this piece is you can go from day to night without having to switch out your jewelry. Perfect with jeans and a tee as well as your favorite “little black dress”. 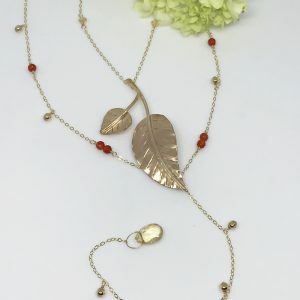 This woodland treasure is sure to become a favorite accessory.